When you have an air conditioner at home just like it gives you comfort at the same time you cannot deny the trouble of occasional repairs of your air conditioner. Sometimes the repairs that is needed by an AC unit can be accomplished by an HVAC professional while at other times the repairs are so simple that you will be to do it all by yourself. Similarly, some of the air conditioner repairs are quite simple and does not involve much expense while some of the repairs are of a complex nature and it involves a higher expense. However, the good news is there is nothing much to worry because there are ways through which you will be able to keep your AC repair costs low. Let us have a look at some of the measures that you can adopt to save on the repair cost of your air conditioner. It is a good idea to keep your ceiling fans on when you are operating your air conditioner. This is because the ceiling fans help in the circulation of the cold air. The result is you need not lower the temperatures of your air conditioner unnecessarily. With an average temperature setting your room can be cooled adequately. Ceiling fans also help in proper ventilation when the air conditioner is on. The consequence is that the wear and tear of the air conditioner is reduced and the instances of repairing it are also reduced to a large extent. 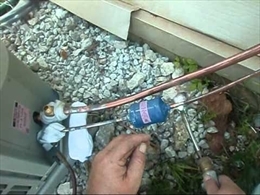 When you are operating an air conditioner in your home, you need to ensure that the home is insulated well. If a home is well-insulated you can be sure of the fact that the cool air will not escape from inside the house and warm air from outside will not come inside the home. This will ensure that the efficiency of the air conditioner is maintained and the need to repair it frequently also can be done away with. To change air filters of your air conditioner is a good habit. Hence, if you have not changed the filters of your air conditioners you should do it at regular intervals. Replacing or cleaning your air filters at regular intervals will prevent clogging and at the same time will keep the air free from allergens. Another effective way to keep the repair costs of your air conditioner is to keep the area around the outdoor unit of the AC clean. In case of the outdoor unit, always keep in mind that keeping a gap of two feet between the unit and shrubs or grass is a recommended thing to do. HVAC experts are of the opinion that it is a better idea to opt for seasonal maintenance of your air conditioner. The benefit of such an arrangement is that the problems can be found out at a time before they blow up into bigger issues. 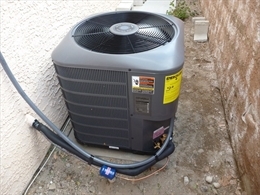 This way you are able to keep the repair costs of your air conditioners low. Last but not the least, taking good care of your air conditioner will ensure that the unit has a longer life and it functions without glitch.